Things are going well here in the valley of the sun. By the end of the week we'll be enjoying a nice and crispy 115+ degrees and endless amounts of blue skies. There's this one person we're working with who's just "blossoming like a rose". We came across her through her family and with encouragement visited her the first time. During that visit, she had a hover board sitting down on the ground and so Elder Kaufusi wanted to try it out. For about a half an hour we just tried getting used to the hover board and just talking about random things, set up a time when we could come back, and then left. After we left, we were evaluating the 'lesson' we had just had, and we thought that it was probably a waste of time. But none of us really felt the need to teach, and we didn't feel bad about not teaching, so we didn't think much of it. During the week before we came by again, she had gone around to almost her whole family and talked about how the missionaries just came by and did nothing but ride the hover board. 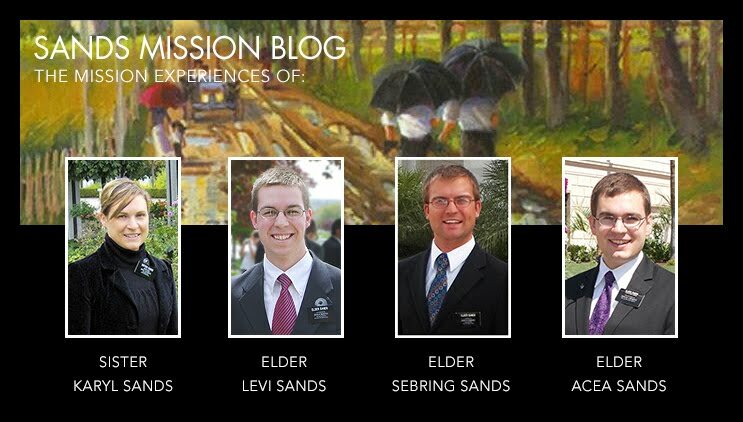 Not in a disappointed way, but a surprised way, like missionaries can be normal people. Now we're teaching her regularly and she's wanting to move on towards the temple. Now that we look back, if we had been serious about teaching her that one day, she probably wouldn't have been interested, but she got to see that missionaries aren't robots. Kind of uncanny how the Spirit works sometimes. President Sweeney will be leaving our mission for good on the 30th of June. That will be a sad day, but we also saw a video with our new mission president and companion the other day. They are similar, but different, I can't quite explain it. Well, talk to you all later!